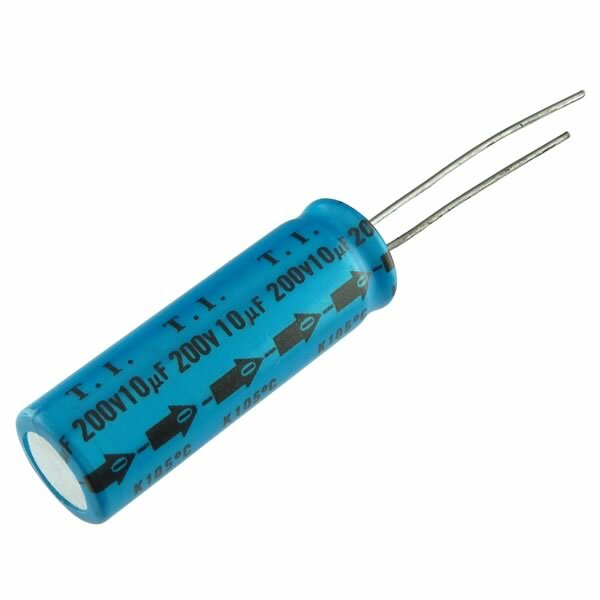 10uF 200V radial electrolytic capacitor made by T.I. Industrial Capacitors. Size about 1.58" (40 mm) tall x 051" (13 mm) diameter. Rated 105°C. Has full length radial leads. Sold in a package of 5.